Join us for our Barnstormers at CYC event! We’ll host players and employees from the Iowa Barnstormers where they’ll talk about their jobs, playing sports in Iowa, and tell us about their anti-bullying campagin! RSVP is required. Contact Malcolm at malcolm@cyconcepts.org to RSVP or for more information. Help us install our Rainworks Art around the Des Moines Metro! RSVP is required, contact Darriana at darriana@cyconcepts.org for more information and to RSVP. Join us for our GYSD Celebration Event on Friday, April 21 from 5:30-7:00pm at the Prairie Meadows Plaza in the Grandview University Student Center! It will be a great event where we’ll recognize the service that our students have done this year, our uVoice students will present their grant winner, and we’ll unveil our Rainworks Community Art Project. 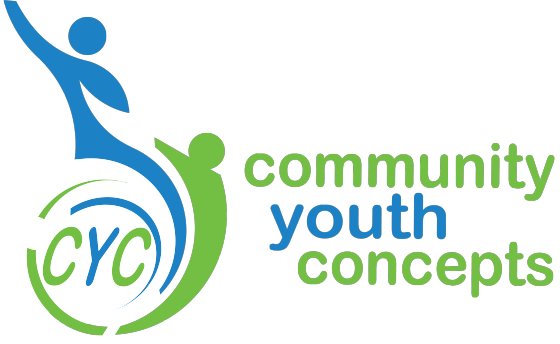 For more information, contact Alicia Vermeer at alicia@cyconcepts.org. The Urbandale Community Action Network (UCAN) is seeking volunteers for their annual Urbandale Spring Cleanup. Celebrate Earth Day by volunteering to help clean Urbandale creeks or trails, or assist seniors clean their yards. A picnic with games will follow the cleanup. Remember, wear old clothes and shoes you’re willing to get dirty. Also, bring buckets and gloves if you have them. Visit the UCAN website for more information or to fill out the required registration. Also note that all minors are required to have a waiver of liability signed by a legal parent/guardian. Our Youth Volunteer Corps students are volunteering at Edencrest at Riverwoods. RSVP is required, contact Darriana at darriana@cyconcepts.org to RSVP or for more information.